Process mapping is often the first step in business process improvement. It is a necessary activity that provides a baseline from which improvements can be measured and is the key to identifying and localizing opportunities for improvement. Therefore, it is important to capture the right information to help steer process improvement initiatives in the right direction. The primary objective of mapping business processes is to form a common understanding from which process improvements can be achieved. Once your teams have completed mapping their key processes, turn them into continuous improvement teams. Not only do the documented maps serve as the agreed baseline for ongoing process improvement, they also make for excellent induction and training resources. Now sit back and watch your business soar. The following are some simple but powerful techniques to make your mapping efforts count. 1. Don’t map for mapping’s sake. The goal of process mapping is to learn and improve, so spend time upfront deciding what and where to map and select your “start” and “stop” points accordingly. Define the scope, identify the business processes you need to focus on and concentrate on those. 2. Ensure that everyone understands the benefits of the exercise. Ensuring that stakeholders know what they stand to gain and how the mapping exercise will deliver it is important. You must be able to connect the project to outcomes of business value. Stakeholders should be convinced that the output of the exercise will help them work smarter and better. Be clear on the benefits attainable by each stakeholder group and be willing to sell it to them. 3. Consider training team members. Not all team members will be equally versed in conducting the process mapping exercise. Set up a brief meeting/training session to bring everyone up to speed on what is expected of them. This training should cover the standards to be adopted, the tools to be used and any other unique requirements of the process mapping exercise.Don’t assume everyone knows exactly what to do. 4. Don’t try to map all your processes at once. 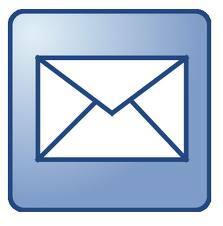 Some businesses make the erroneous move of documenting all their processes at once. This sort of exercise requires a significant amount of time and man-power upfront with little or no value-add. Focus on mapping key business processes that cut across the value chain where identifiable improvements can be made. 5. Start with the current state. Once the “ideal” process area is selected, focus on documenting the “as is” state as opposed to the future or ideal state. This might seem obvious but when people are asked to improve a process, their initial impulse is to move right to solution – but they can’t improve what they don’t understand! 6. Walk the process. Conduct a formal waste or process walk prior to building the “as is” map. Engaging in short, structured interviews with process participants becomes a rich source of data, flow and process issues. It also increases external interest in process improvement since people appreciate being asked for their input. 8. Keep it simple. Basic tools like flip chart paper or rolls of butcher’s paper and sticky notes are often the best and simplest tools for building process maps with teams. They can be prettied up later in Visio, Excel or PowerPoint but there’s no substitute for jointly building the actual, physical map. 9. Include process data. Process maps are more accurate and powerful when they include cycle times and wait times. Value Stream Maps are designed to include these two elements of lead time, but including this data on any map helps reflect what truly gets in the way of meeting customer demand. When capturing cycle times in a process with high levels of variation, it’s helpful to include not just the average times, but the ranges as well. Averages hide the real impact of lead time on customers. 10. Apply visual management. When mapping on the wall with sticky notes, try using different colors for the different “lanes” of a Swimlane map and choosing a contrasting color (classically pink) for pain points. Hold off drawing connectors and arrows until you’ve verified the map or you’ll end up with scribble marks – and that’s rework! Some of these may seem like common sense, but I find it valuable to think through what has made me successful in the past and keep these tools in the forefront of my mind for future engagements. 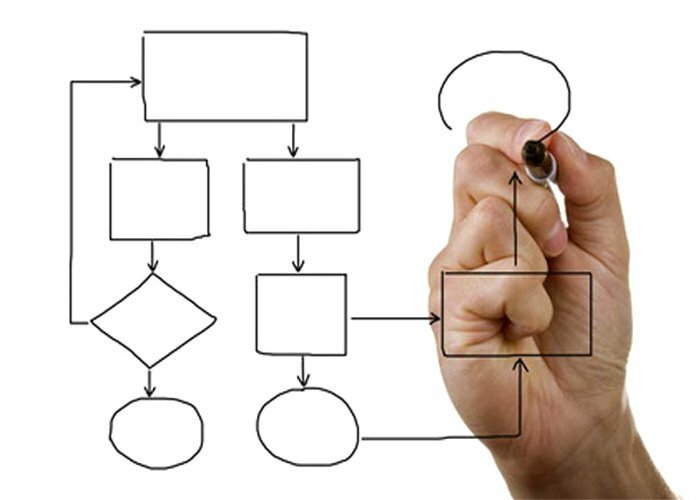 Process mapping is a tremendously valuable tool for improving a process. It’s well suited for a broad range of industries and processes. However, like other continuous improvement methods, the effectiveness of process mapping is affected by how it is selected planned and carried out. Every production line or process should have a "control plan" that includes the most up to date process map. The map provides a visual for all team members, engineers and suppliers to see when discussing improvements ,updates and pending changes to the process. The map and control plans should be updated periodically to reflect these changes. A process change request (PCR) should be used and submitted, reviewed and approved or did approved before any new changes can be made to engineering so that the team knows of the new changes being made.